Being truly wireless is great — until you start encountering performance issues. Forcing two earbuds to sync with each other, and then play in unison, is a significant technological hurtle. In one way or another, it’s something many earbuds fail to deliver on. But fortunately, there are always exceptions. 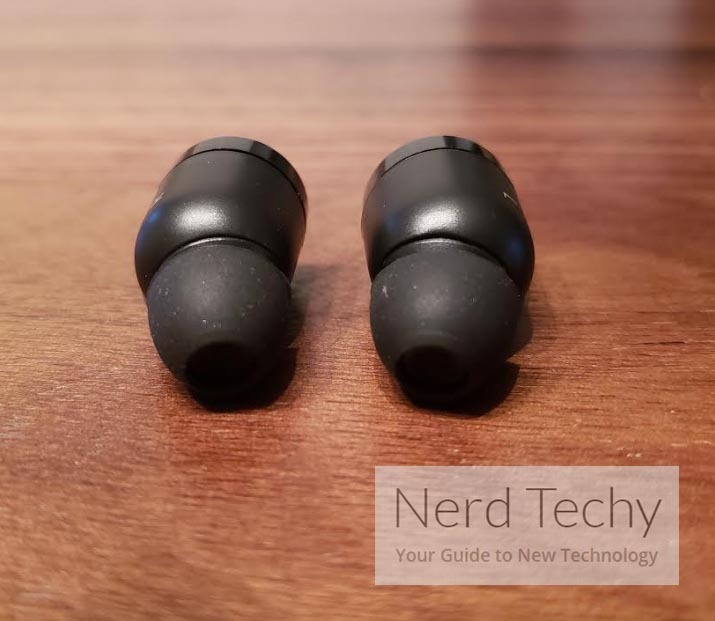 The Nano 1S True Wireless Earbuds exist in a strange place due to their pricing. These are middle-shelf headphones, but they’re near the top of the middle shelf. Though they do not tower over their less expensive counterparts, there is a distinct advantage in their price to performance ratio. Another thing that really helps define these earbuds is their case. They use an ultra-compact charging case, and it’s easily one of the smallest charging cases on the market. Though there are a handful of ways these earbuds don’t excel, none of them are truly damaging, at least when you understand what they were made to do. If you know anything about wireless earbuds, then you probably know that most earbud charging cases are about the size of a smartphone. That could be why the Crazybaby Air True Wireless Earbuds don’t call their case a charging case, they call it a charging capsule. 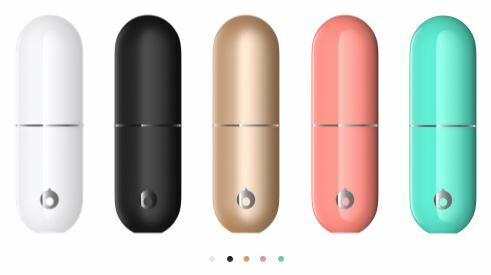 It really is more like a capsule than a case. It almost looks like a pen, though it’s a bit too short for that. The capsule measures roughly 0.9 x 0.5 x 0.5-inches, while each earbud has the proportions of any standard Bluetooth earbud. Once you’ve popped out the earbuds, one of the first things you’ll notice about Crazybaby Nano 1S Earbuds is their distinctive Nano style. In fact, style plays a large part in these earbuds. They’re available in nine colors, a pretty enormous variety. Those colors include black, pink, purple, red, yellow, Atlantic green, matte gold, sea blue, and lime green. The matte gold looks more like rose than gold, and the Atlantic green looks more like teal. But then again, everyone has a slightly different sense of color perception. The charging case wasn’t made from the typical matte plastic that’s so often used for these types of devices. Instead, the case is as glossy and beautiful as the earbuds themselves. Unfortunately, this glossy sheen is also a fingerprint magnet. You need to wipe it down pretty frequently if you want to keep everything looking its best. And the initially gorgeous casing is almost certain to get scratched up with regular use, though this kind of superficial scratching can be easy to hide with the right color options. The outer face of each earbud is a matte surface surrounding a glossy Crazybaby logo. Though it might be unfair to call it ugly, some people will find these earbuds stop being beautiful once you stick them in your ears, and only the outward facing plate is visible. But that’s a pretty minor complaint, especially considering the relatively small size of these buds. 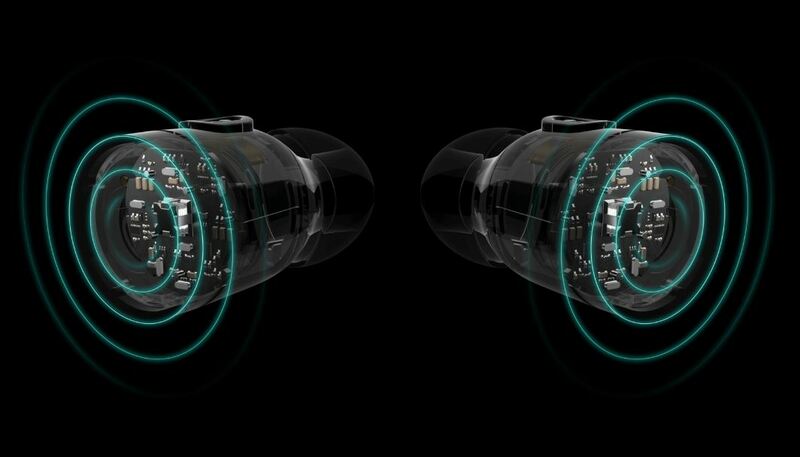 On the top portion of each earbud, there are two small control buttons. You can use these to raise or lower volume, skip between tracks, and manage calls. Unfortunately, these buttons are both tiny and close together. Unless you have small fingers or enormous dexterity, it can be tricky to press the buttons you intend to press. At least, on your first try. Provided you’re not wearing some thick gloves; you should be able to stumble your way to appropriate settings without having to remove the earbud from your ear. Each bud is capable of providing about three hours of playtime. That starts to extend towards six or nine hours after you’ve accounted for the charging case. Giving concrete information about their battery lifespan is tough because it varies depending on the kind of music you’re listening to, how loud your music is, and even the temperature of the room. In a nightmare scenario, where it’s cold and you’re trying to play the earbuds at maximum volume, you may find each bud provides closer to 2-hours of playtime. That worst-case scenario seems pretty bad, but it’s not nearly as bad as you might think. Because these earbuds make use of rapid recharge technologies, so you’re able to get 90 minutes of playtime out of a five-minute charge inside the case. Though if you expect to refill each bud completely, you’ll actually have to spend closer half an hour. Another area for minor complaints can be found with standby time. While the charging capsule has a pretty formidable standby time of about three weeks, each earbud has a standby time that’s closer to three days. Though in most circumstances, the earbuds shouldn’t go far from the case, and that kind of problem should never become an issue. The Nano 1S are constructed with 998 carbon nanotube diaphragms, which gives these earbuds a slightly distinct sound profile. They essentially sound like athletic headphones. The bass doesn’t really have any rumble or punch, but that’s something you can’t get without spending considerable more money, or changing to less portable audio equipment. But their treble range truly shines, which makes the Crazybaby Nano 1S spectacular for a variety of different genres, ranging from classical to modern electronic music. When it comes to the mid-range, the Nano doesn’t dazzle, but neither does it disappoint. These headphones don’t exactly have a bias towards vocal tones, but in the interests of achieving call clarity, they do come close to it. It would be fair to say the Nano are equally suited to watching movies, enjoying music, listening to podcasts, and so forth. The Crazybaby Nano 1S uses Bluetooth 5.0 to carry the wireless signal. Once again, these earbuds slightly underperform in the wireless category. They allow for about 25-feet of connectivity, which is low-average compared to many Bluetooth 5 headphones on the market these days. 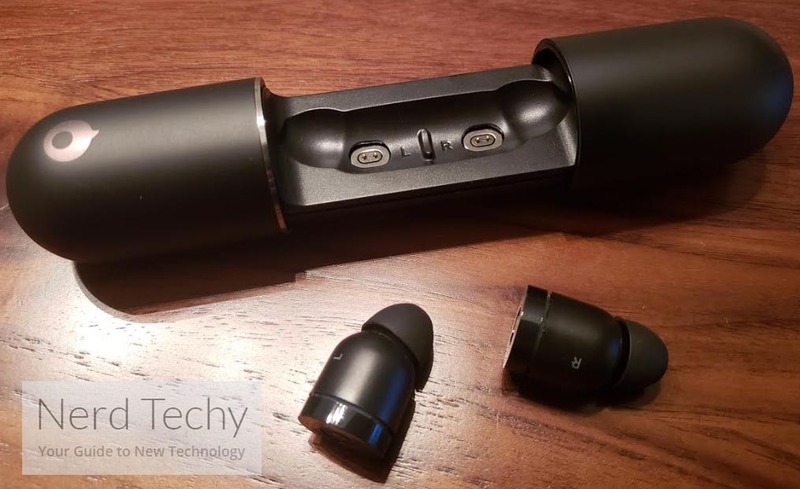 But they do take advantage of the automatic pairing features available through Bluetooth 5, so you can pretty much pop your earbuds out of the case and start listening straightaway. At least, after you’ve undergone the initial setup process. When it comes to calling, these earbuds hardly get a passing grade. There’s nothing wrong with the microphone Crazybaby used. In fact, you shouldn’t have any issues with call clarity. The problem is they didn’t use any special noise cancelling technologies for the microphone. The mic is really nothing but the bare basics. Of course, there’s nothing wrong with only having the bare basics. Where the Crazybaby Nano 1S True Wireless Earbuds fail is actually more severe than call quality. The second problem is you can only take calls using the left earbud. If you never cared that much about calling features to begin with, then this is a minor fault. But if you cared about calling features at all, it’s important to ask yourself if you can live with taking those calls in mono. Another thing that isn’t present is native support for voice assistants. You can still get your favorite voice assistants to work with these earbuds, they just don’t have any special commands or voice-assistant buttons of their own. All in all, this set of call features is not impressive. The Crazybaby Nano 1S come with four different sizes of ear-tips. Choosing the right fit is essential not only to comfort, but to noise isolation. And because of the relationship between audio quality and noise isolation, you’re really cutting yourself short if you don’t take a few minutes to try on the different sizes. With four sizes to choose between, virtually everyone should be able to find a comfortable and secure fit. But if you really want security, then you have to change over to the included sport-fit wingtip. 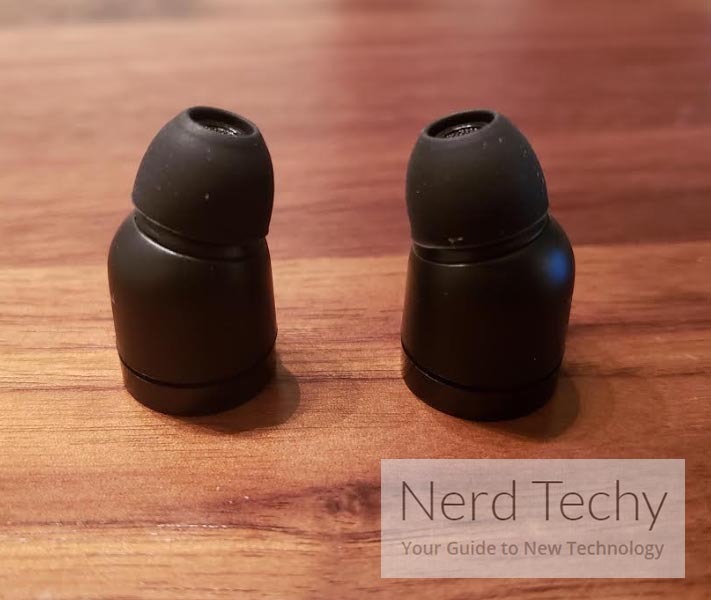 It’s basically a little piece of silicone that can help press against the inside of your ear canal to keep the Nano 1S in your ear during activity. If you’re sitting behind a desk, or even walking down the street, then you probably don’t need the extra security of the wing-tip. But when you begin to perform more active motion, or anything resembling athleticism, then you’ll definitely want to throw on the wing-tip. Sticking those tips on, and taking them off, is a minor chore. You want to be gentle with the silicone while you remove it, and yet it requires a fair amount of force to actually remove. If available, it may be a bit easier to use a small paperclip to help leverage the ear-tips off. Another thing these earbuds don’t bring to the table is support for mono. It would actually be a minor hassle to un-pair the buds and try to use them in a mono setup. And because there isn’t native support for mono playback, only the dominant earbud could be used in this manner. Crazybaby Nano 1S Earbuds include four sets of ear-tip replacements, sport-fit wingtip, the charging case, a USB-C to USB charging cable, and the Crazybaby app. It also includes a one-year warranty from Crazybaby. 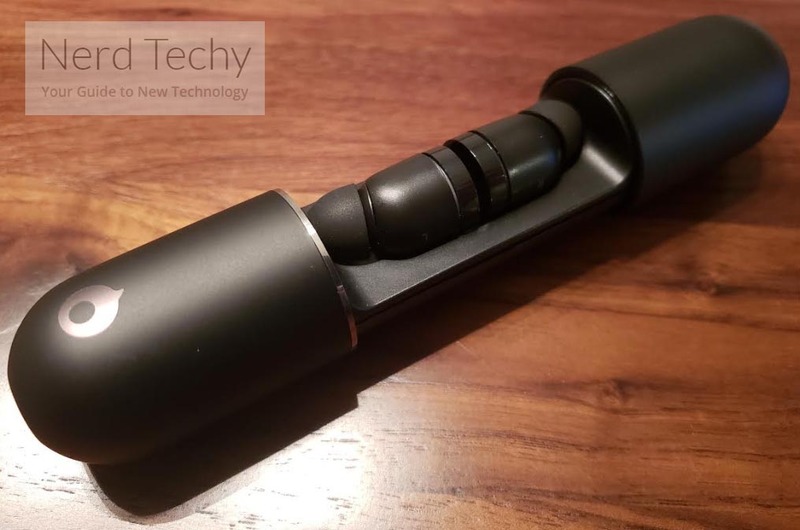 Who Should Choose Crazybaby Nano 1S True Wireless Bluetooth Earbuds? It’s not clear whether these earbuds are intended to go head-to-head with Apple’s AirPods, but they do an excellent job of it. They’re comparable in nearly all ways, except the Crazybaby Nano 1S Earbuds are about half as expensive. Though not every dollar of difference is wasted, the Crazybaby Nano 1S still deliver on almost everything people want from higher-end earbuds. If you were looking for headphones specifically for athletic activities, you probably don’t want to use these earbuds. The sport-fit wingtips work well, but having to swap them on-and-off is a minor hassle. Even if it wasn’t, you’d be better off with having size-options for your wingtips. The same is true of people looking for equipment specifically for calling. 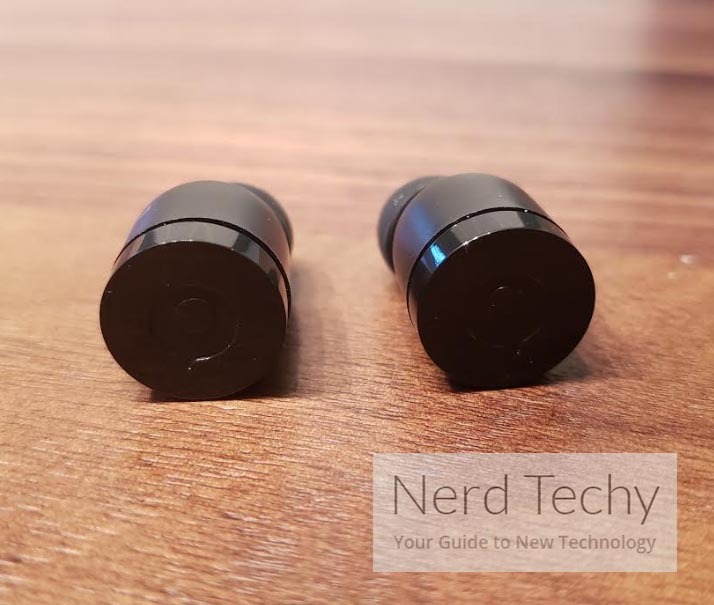 More than anything, the Crazybaby Nano 1S True Wireless Earbuds are for the general listener. If you’re looking to place sound quality above all else, these earbuds can help you do that. And without giving up too much versatility in the process.